Cottony white freshwater pearl rounds dangle off a stem of multicolor metal links in one of my favorite juxtapositions - rugged next to soft. 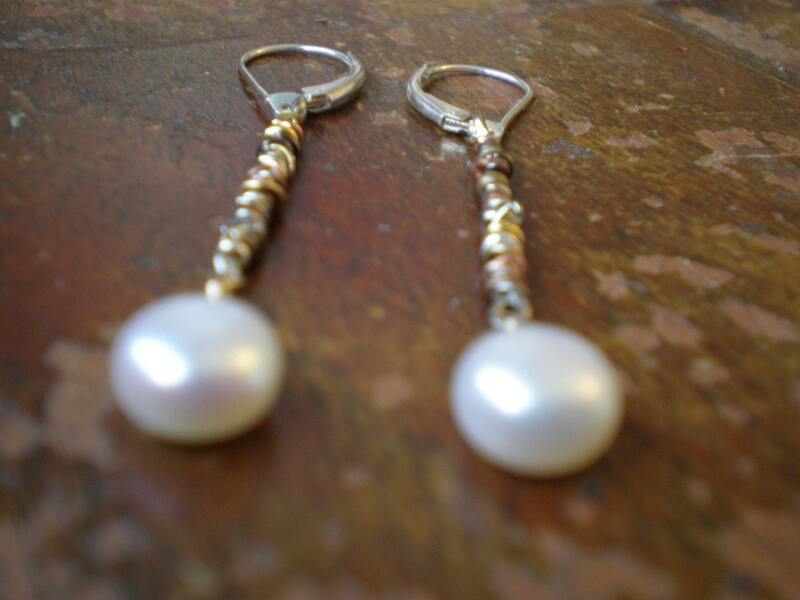 The pearls are top-drilled and wrapped with gold-filled wire. The ear wires are lever-back and are sterling (you can request gold-filled ear wires). These are made to order so the random placement of links will vary but will inevitably look just like the pair pictured! I think the stem looks best at about 1 to 1-1/2 inches, but you can choose a length and mention it in the message to seller at checkout if you like. © dorijenn. All images and designs are the intellectual property of dorijenn. All rights reserved.